So, what is paprika exactly? It's actually made by grinding dried peppers, or specifically capsicum annuum. These peppers are generally larger and milder than chilli peppers, think bell pepper size. And after they have ripened and been dried out, they are then ground down to a fine powder. The heat of paprika spice can vary, some are mild, some hot, and from smoky to sweet ranging in strength and flavour from country to country. 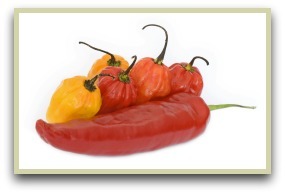 Originally, paprika pepper was only native to South America. And it’s believed that Christopher Columbus brought some peppers back with him to Spain after his travels, where the royal court began growing them as decorative plants. Through colonization and the expansion of international trade routes, they soon spread around the globe. 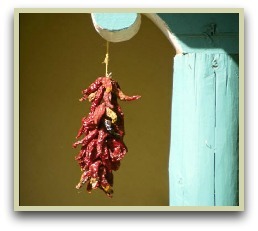 By the late 1500s, the pepper plants had reached south eastern Europe. Today, the most popular types are the Spanish smoked and Hungarian, which are available in many varieties from mild to very hot, and spicy to sweet. ...From Hungarian goulash and Indian tandoori chicken to Spanish chorizos, used in stews and on grilled meats, this spice adds bright colour and rich flavour to any meal. It also nicely complements potato dishes: mashed, roast, fries etc. Click here for my potato recipe that uses it. ...that there is even a Paprika Museum in the town of Kaloscsa, which apparently is the 3rd most important place to visit if you're ever in Kalosca! The town also hosts a festival every October, where I'm sure you'd get an answer to your question "what is paprika"! ...this spice has been used in a number of ways, aside from just cooking. It has been an ingredient in cosmetics for centuries as well. Women have mixed it with henna to give hair a reddish tint. It has even been used by zoos, mixed in with the feed, to keep the bright pink hue of flamingos! If you would like ideas on how to use this spice in your cooking, then have a look at my recipe book. Full of easy-to-make blends and seasonings from around the world. Available as a digital book that you can download and start using in your cooking straight away. Click here for more info. What is Cardamom - All you need to know about the"Queen of Spices"